This is an experimental project for defining how Perth City, Western Australia can be read. It has first started as an architectural project but has since been inspired by the process seen in the entertainment industry. Specifically by Matthias Lechner, Art Director for Zootopia. The Perth City Redesign has been split into two major components. The first component finds design ideas. Its processes lie within the realm of architecture, 'fine art', and urban design. There are three parts. The second component takes from entertainment design. Based on the previous devised theories, this section attempts to make things interesting. There is less logic involved, and creativity branches in the direction of 'fun'. Setting up the theory and defining the boundaries for the project. To first understand how we can understand Perth City, lets have a look at the map. The google map provides a good baseline in terms of the geographical location. However, simply using all the data provided in google maps would be complex. To make effective design decisions we should quantify key aspects of the city. By creating tangible data points we'll be able to make more informed arrangements. In the famous "Nolli's Map of Rome", the city of Rome is described in two colours. Black and white. Black for buildings, white for circulation. Nolli's map for Rome is analysed in Collage City by Colin Rowe and Fred Koetter. 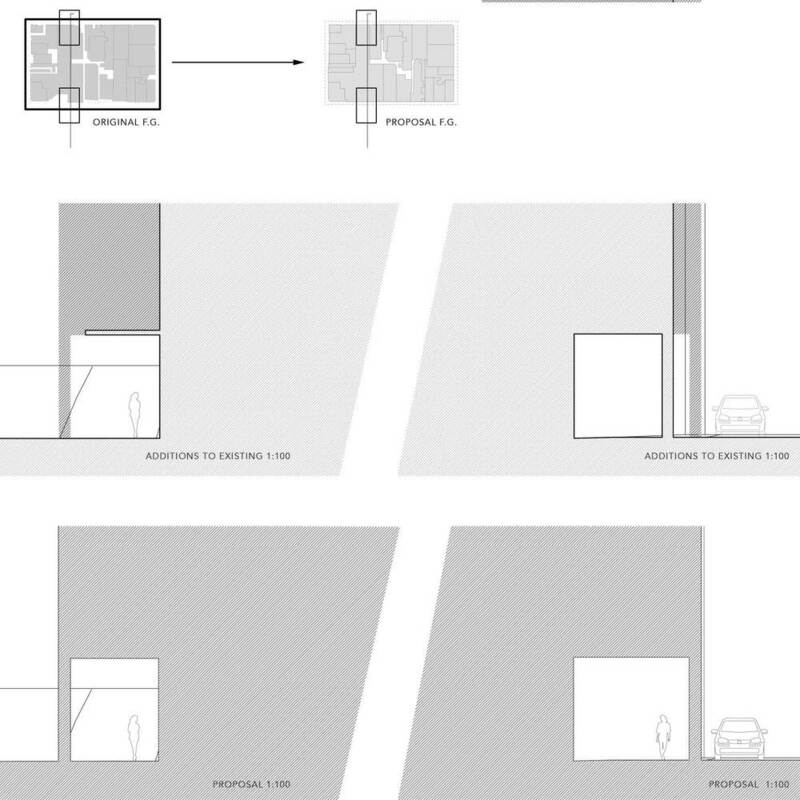 They note how the simplification of the city highlights the relationship between the buildings and circulation. In addition, public spaces are also included as white space. White space then indicates to the public all areas they can freely access. In essence, black = private space. 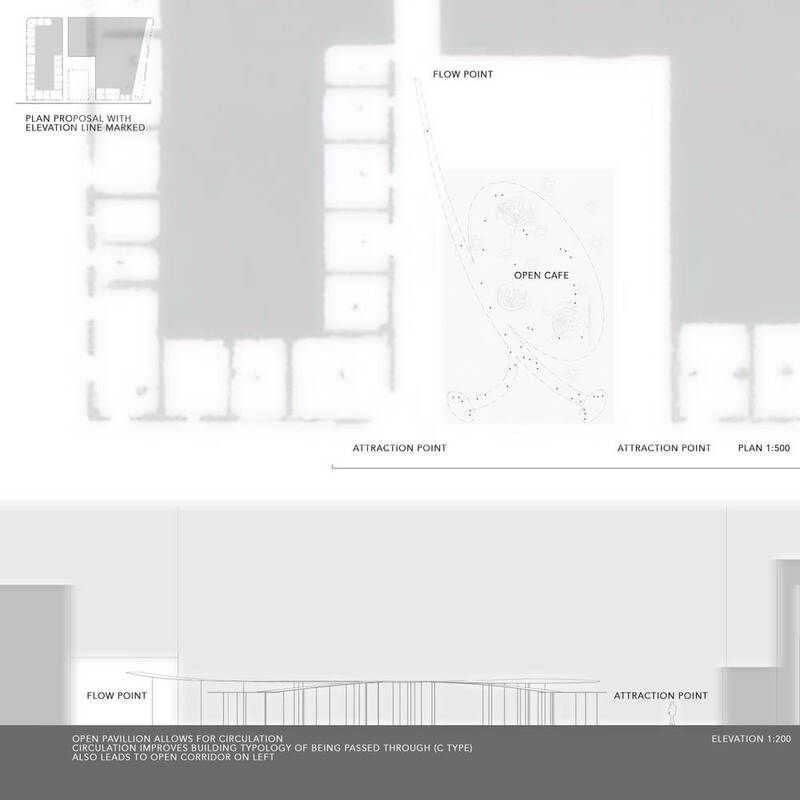 White = public space. Simplifying a city to two tones helps to easier understand the city. Using this knowledge, let us then create a black and white diagram of Perth City. my map for perth city. 2016. Great. Now we have created a new read of the city let us describe what we have. There is a concentration of the city that predominates in the centre of the city. The defined City of Perth seems only to encompass a small strip. To make a design of the city, this project will now hone in on the 'city proper'. The strip of 3 rows that is formally considered "Perth". Looking at this black and white image (Properly called a 'Figure-Ground Diagram'), we have now reduced the city to its essential parts. Let's pose a question. Can we further reduce the city? Abu Dhabi's building looks like a complicated wave. However on inspection of the inside (as seen on the right diagram), there is a completely vertical column in the middle. It is what those in construction refer to the "core" of the building. In the case of the Capital Gate Building in Abu Dhabi, the complexity surrounds a foundational core. Moving back to Perth City- how can we further simplify the city? Could we perhaps try identify the cores for the city? Though possible, it would certainly be a daunting task to obtain the plans and sections for every building in Perth. There would be security issues involved. E.g. Difficulties in obtaining building plans from banks. Furthermore, for our theoretical exercise where we define typographies, is such a specific set of data really required? Instead, could we abstract this process and achieve a relateable outcome? One of my initial ideas was to use a looking glass at the city. Using this looking glass obscured detail, and simplified the tonality of the diagrams. For example, a jagged tetracontakaienneagon (49 sided polygon) appeared through the glass as a box. Complex shapes became simple. Using the lens I had identified four main types of graphic objects. Total White, Connected white, Split White, and Black. The white referred to the cores of the building. Therefore I translated this terminology to: Total Core, Focused Core, Split Core, and Coreless. printed trace ontop of figure-ground. image is correctly in focus and is not blurred. Yes. I know this image isn't pretty. But that's okay- it's the process and idea that matter. While laying trace paper of the same image ontop of one another, I noticed a blurring between the original image and the duplicate. When the duplicate did not align 100% with the original, there was a shift between the colours. If the duplicate image was laid in 95% of the correct placement, there would be a 5% "excess" grey outline at the edges of the building. Simultaneously, the building's 'middle' would be darkened. It looked like the city had been blurred. However, only the edges were blurred- the core of the buildings remained. The duplicate trace idea had the intended effect of simplifying detail through abstraction. I then decided to make this process more controlled and brought it into the digital spectrum. In addition, the city follows a strong left to right movement (3 rows vs 10 columns). Through this, Perth acts horizontally for its circulation. I have used the circulation direction as a factor for the direction of digital blurring. In the above image, the bottom piece describes the city being blurred in both directions. To clarify the overlap, i.e. the cores, I have rendered them white in the image below. To further clarify the location of the cores, I have isolated them in their own diagram. Anyway. Let us add the above 'Isolated Core Diagram' to the original Perth Figure Ground. From this process we have successfully abstracted Perth City. The diagram now has tangible information we can work with. This data will be analysed in the next section. Now that we have defined four typologies, perhaps it is here we should make our shift from a strict architectural voicing. Instead we will move towards a more impression and entertainment approach. The concept art approach.